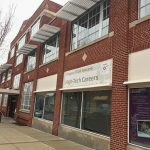 Home » Special Sections » Seeds of Success: Homegrown Harrisburg digs deep for a healthier community. Like a flowering vine, a budding network of volunteers is lacing its way across some of the most barren corners of the Harrisburg area, breathing new life into decaying lots and delivering fresh food to empty tables. Flowers, tomatoes, peppers, zucchini, squash, herbs and other edibles are about to sprout up in the rocky soils of the city, Steelton and Susquehanna Township, at the seasoned hands of a fast-growing urban gardening movement called Homegrown Harrisburg. Along with nutrition and blossoms, this green team is producing intangibles, such as food security, health, togetherness and community pride. The seeds of the movement were planted last year when a group of devoted gardeners, community leaders and nonprofits joined forces, led by returned Peace Corps volunteer Rachel Rasmussen. I recently found Rasmussen tending a pollinator garden along Peffer Street, which features more than 100 perennials that took root in 2013. People who walk by often stop to chat about the garden and to learn about birds and butterflies, she said. Many gardens throughout the city are “fun and experimental,” she said, yielding mint and other aromatic plants. Others have raised beds, ideal for those with disabilities and aging knees and backs. Currently, 16 gardens are blossoming throughout Harrisburg, mostly in Uptown and on Allison Hill. It is remarkable growth for a movement that started just a year ago. Last year, the group re-did eight gardens, digging up old beds and building 109 new beds. This year, three gardens will be made over. 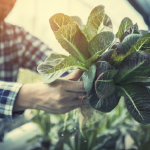 Many businesses and organizations have donated seeds and tools, including the state Department of Conservation and Natural Resources, Green Urban Initiative, Capital Region Water and the Chesapeake Bay Foundation. Others, including the Midtown restaurant Right on Reily and, across the street, Zeroday Brewing Co., have held recent fundraisers, both donating a portion of their food and drink proceeds to the green team. Rasmussen is a believer in the transformative power of caring for the earth for both individuals and the community. Lifelong gardener Donnel Brown, the neighborhood revitalization coordinator for Tri-County Community Action, has joined the effort. Four years ago, as an employee of Aurora Center, she saw how the center’s beloved flower garden transformed clients with special needs. When Brown was hired at Tri-County for a community safety initiative, she transplanted her gardening idea as one way to fight blight. She started the Wesley AME garden and began a mission to link together Harrisburg’s passionate, yet dispersed, community gardeners. 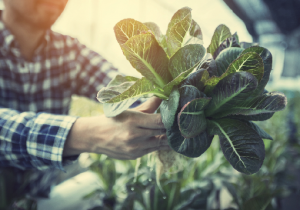 Brown cites Kevin, “a big, grumpy guy” with mental health challenges who, by his third outing in the fresh air and soil, was transformed into an enthusiastic gardener. Brown also recalled a Syrian immigrant who was feeding her family of seven through three garden plots. Gardening also helped “bridge the cultural divide,” allowing Brown to move beyond hand gestures and Google Translate to learn key words in Arabic. And it allowed Brown to offer the family other services, including trauma-informed preschool and English-as-a-second-language classes. Indeed, countless studies show that a garden does far more than feed hungry stomachs in a low-cost way. Gardening has been shown to improve mental health, beautify forgotten lots, reduce blight, transcend cultural barriers, curb crime, improve community safety and grow happiness. The results are organic and sustainable. The community is reaping the benefits. The culinary program at Kappa Omega chapter of the Omega Psi Phi fraternity uses the herbs from local gardens, and fresh local fruit is used in Zeroday’s infusion tower, Brown said. Soon, 25 students from Harrisburg High School will learn about gardening skills, sustainability, the environment and careers in agriculture. Brown noted that the average age of a farmer in Pennsylvania is 55. “Agriculture is a viable career opportunity,” she said. Richard Martinez, also a returned Peace Corps volunteer, helps tend the Peffer Street garden. “It’s a great learning opportunity for everyone involved,” he said. Martinez and Rasmussen also are active in Tree Tenders, a group that will plant 48 trees to beautify Scott and Rowland Elementary schools. 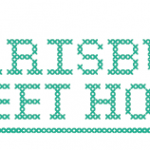 For more information about Homegrown Harrisburg, visit their Facebook page: Homegrown Harrisburg. This month, you can help make your community a little healthier and more sustainable. On April 27, Homegrown Harrisburg will hold its Annual Seed Giveaway from 11 a.m. to 3 p.m. at the OIC Learning Garden and at Whitaker Center. At the OIC garden, 500 Maclay St., there will be family activities, workshops, live music and sign-up information for available garden plots. Also on April 27, the Harrisburg Tree Tender Committee will partner with the Chesapeake Bay Foundation, the city and Capital Region Water to plant 48 trees at Rowland Academy and Scott Elementary on Allison Hill for Arbor Day and will need volunteers to help. The planting will take place from 9 a.m. to 1 p.m. at 1842 Derry St. Refreshments will be provided. Previous Post All Star Player: In raising funds for LLS, Marc Kurowski swings for the fences. Next Post A Brew for You: Harrisburg Beer Week is back, with something new on tap.